For nearly three decades, Meyers Nave has assisted public and private clients confronted with complex regulatory and legal challenges. California’s historic drought is raising the stakes and increasing the complexity of water issues that were difficult in times of normal water supply. 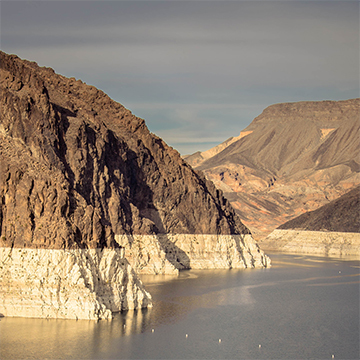 The drought has also spurred development of new laws and regulations, including the State Water Resources Control Board’s emergency regulations and the Sustainable Groundwater Management Act. The most creative, effective and practical solutions to these new challenges require the comprehensive expertise of our multidisciplinary Drought Response Team, which consists of attorneys who specialize in all key areas of law including Land Use, Environmental, Trial and Litigation, Eminent Domain, Infrastructure Development, Construction, and Public Agency, Contracts and Finance. We provide complete legal services related to water quality, water supply and water rights, including acquiring and transferring water rights and protecting existing water rights. We also advise on public agencies’ responsibilities for the management and control of stormwater and urban runoff. We have expertise in Clean Water Act/NPDES compliance and permitting advice, the California Porter-Cologne Water Quality Act, the Resource Conservation and Recovery Act, wetlands section 404 permit assistance, and AB 939 Solid Waste requirements. Our services include the defense of regulatory and non-governmental organization enforcement actions, administrative appeals, and state and federal court litigation of regulatory standards. We represent clients during administrative and regulatory processes within the federal and state court systems, serving as general counsel, litigation counsel and special transactional/regulatory counsel.